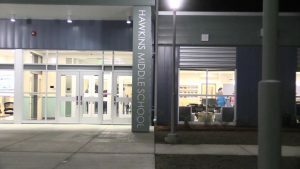 The new Hawkins Middle School was dedicated Tuesday night. As part of the North Mason School District’s construction bond that built a new high school, the former high school was remodeled and is now the middle school. Hawkins staff spent their winter break moving into the new school and students started on January 3rd. After the brief ceremony, parents and community members toured the school. 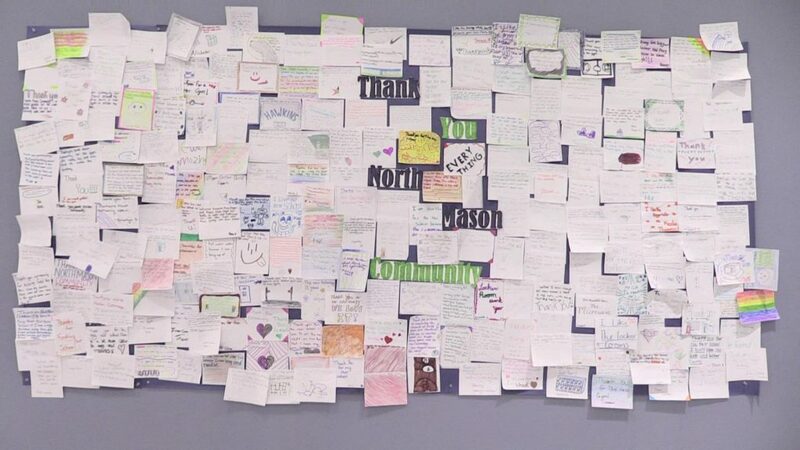 Students also wanted to thank the community for approving the bond with a wall of thank you notes.